Mary Fisher is a name synonymous with advocacy and art. For more than 20 years, the author, activist and artist has dedicated herself to helping those in need and to healing through artwork – with a particular focus on individuals affected by HIV/AIDS. Mary’s commitment to community-building and philanthropy led her to The Alpha Workshops, joining our Board of Directors in 2013. Three years later, we are proud to announce that Mary’s taking the reins of the newly formed Alpha Workshops Studio School (AWSS) Board School Committee in the newly created role of Chairperson of the Board School Committee. In this role, Mary will lead Alpha’s commitment to advancing its decorative arts education program for people with disabilities. 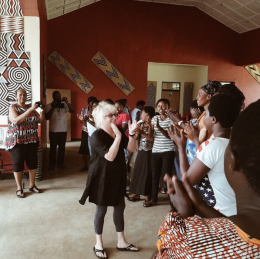 Fisher is especially suited to this role, with more than a decade of experience in developing educational programs –creating and administering artistic training – for disadvantaged women throughout Africa. Mary’s advocacy led her to the 1992 Republican National Convention, where she memorably called for compassion from the Republican Party when handling the AIDS crisis and those who are HIV positive. Former President George H.W. Bush later appointed Mary to the National Commission on AIDS. She founded the Clinical AIDS Research and Education (CARE) Fund soon after. She continues to push for the rights of those impacted by HIV/AIDS and serves on The Global Coalition on Women and AIDS. In addition to creating coveted artwork, the author has published six books to date including Messenger: A Self Portrait (2012), Abatake (2004) and I’ll Not Go Quietly (1995). In 2012 Fisher was inspired to create founded the 100 Good Deeds bracelet produced by women trained by Mary in Africa, Asia and elsewhere, and sold through Macy’s in the United States. 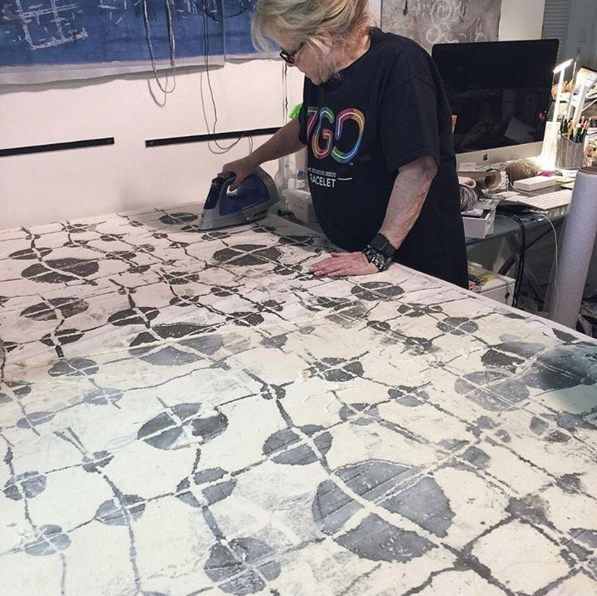 Mary’s latest project is a collaboration with luxury to-the-trade home furnishing brand Lee Jofa’s Groundworks line, raising funds for the Design Industry Foundation Fighting AIDS (DIFFA). 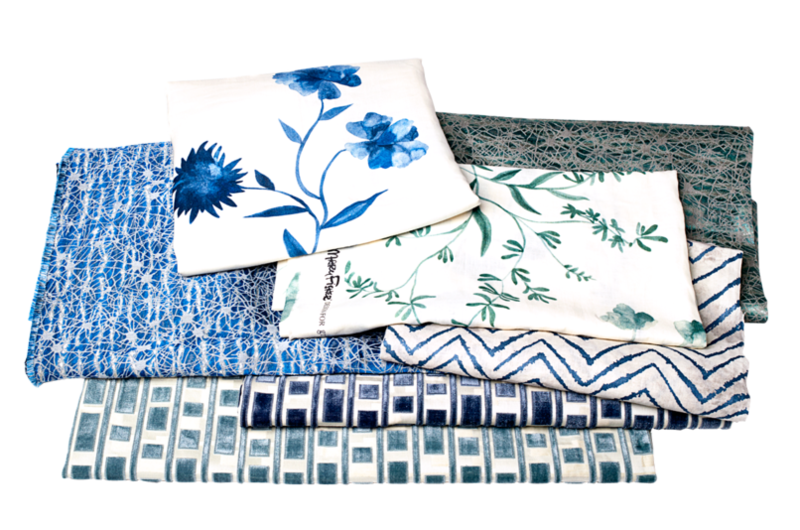 Inspired by Mary’s relationship with nature and the beauty of life itself, the collection is composed of textiles featuring “organic motifs and intricate artisanal techniques” that exhibit her mixed media art –including dip dyeing, needlework and painting. 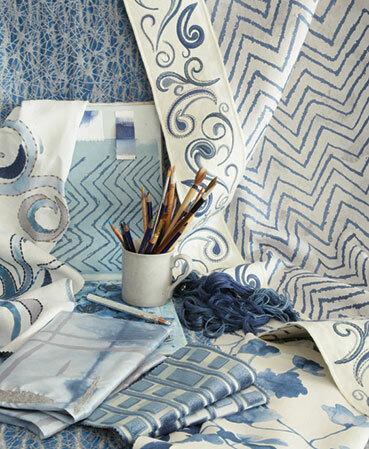 The line’s color palette reflects Mary’s love of the American Southwest and her years in Africa, ranging from misty blues,aquas and sandy neutrals to shimmering metallic hues. To learn more about Mary, her artwork and her philanthropic causes, you might visit maryfisher.com.